Preheat oven to 400 degrees. Line 4 cookie sheets with parchment paper. Mix 1-1/2 cups sugar, butter, shortening and eggs in mixer on medium speed. stir in flour until dough forms. Shape dough into 1 Tbsp balls. 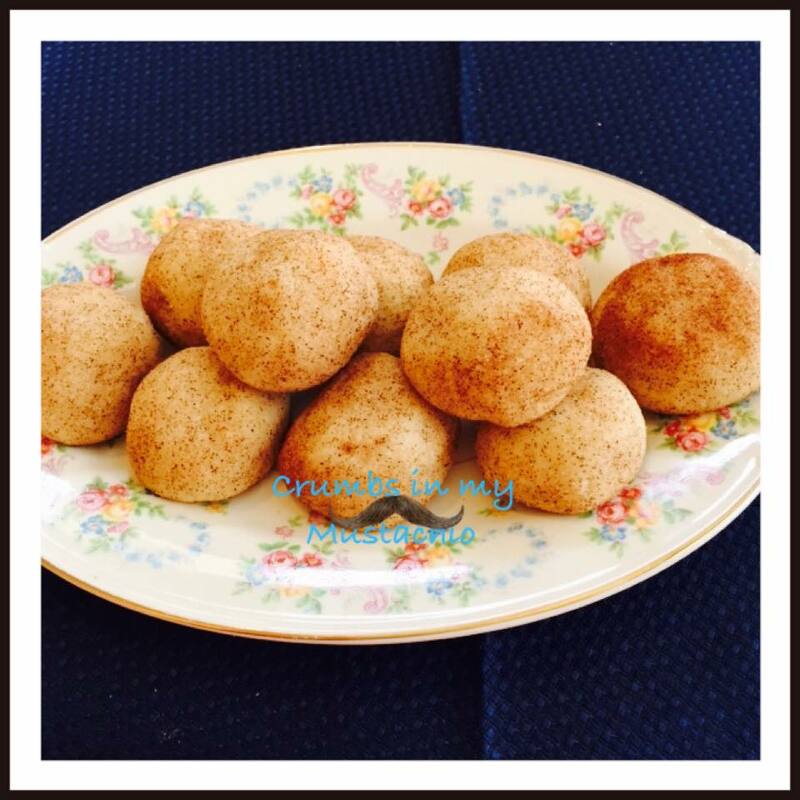 Roll cookie balls into cinnamon sugar and place on prepared cookie sheets about 2 inches apart. Bake at 400 degrees for 8-10 minutes. Remove from cookie sheet and let cool on wire rack.